So I am here with my first book review on WordPress. Recently finished reading the book ‘The Ductrinors ’ from Papatia Feauxzar, if you remember I did a post about her book launch few weeks back. Papatia is a published author of many novels, You can also find her on wordpress (https://papatia.wordpress.com/) . Recently she started with her novel series,The Ductrinors , Book 1 Hanifa is the first in this series. The novel revolved around a young female protagonist Hanifa, a day dreamer who wants to save the world from evil people. She is strong and determined woman who proves herself a great leader as the novel advances. The opening of the novel was interesting and holds the reader’s curiosity about characters and their history as each of them get introduced slowly in the book. The story is set in future era with use of technology at its maximum, can be perceived as magical for today. The imagination of writer is good and has done quite well in describing the scene for your mind to imagine well. Reading some chapters will remind you of Harry Potter book. I feel the novel is for teenagers and younger audience but I still loved reading it to the child inside my heart. I really liked the novel Papatia . Wish you good luck for the success of this novel and entire Ductrinor’s series. Dialogue Tags, Action Beats, and The Dialogue Comma. Great advice for all my blogger friends who write regularly fiction or non fiction. This post from Ronovan will help you think how to maintain the flow in story and avoid the monotony . A bit sad ,a bit tired or perhaps both. Its heaviness weighs me down. my heart from every corner. my soul flutters to break free. soft morsels of worldly food. My soul famished and my heart cringed. weighing so heavy I stood to pray . in sujood and in submission. and my soul free again. ( Another day when you feel low and only praying/meditation helps( at least for my case) . I strongly believe that our soul needs to be fed , nourished and taken care of similarly like our bodies. Good deeds, good thoughts ,remembrance of God ,being grateful and prayers are its food . When will it snow ? asking me you know what? It has started to snow. I hope it stays till morning . if the snow has stayed. delighted your soft heart . Don’t you like the snow ?? to watch you love the snow. I found this quote quite useful and stands true for everyone. There is no end to criticism and there is no way you can avoid it. The only way is to deal with it and live with it. The best or worst everyone had their share. The normal human behaviour against criticism is to criticise back and we just do the same thing and end up complaining about criticizing nature of people. We are human and mirror images of each other, sometimes the criticism is just out of envy, that we are envious of people’s success or looks or their possessions etc. That is when you feel there was no reason to criticise you for doing something good or harmless to anybody. You can completely ignore such criticism. There is some reasonable criticism too, and there is where you just can’t go blindfolded and deaf eared, some people criticize you so you can improve. They didn’t see how good you are, they tell you how better you can be. There is term called constructive criticism which is taught in management and practiced in corporates as well. It is used to give you a feedback in best possible way which shouldn’t demoralize you but tell you your best abilities, your weak points and areas of improvement. The words and tones are chosen wisely as not to offend the receiver, and this is what we should do in our daily lives too. We need to choose our words and tone wisely in case we are giving feedback to someone. So if someone is genuinely interested in your betterment he will approach you in a wise and sane manner. Stay away from hate mails, hate speeches or hate comments from people, they are in no way thinking any good of you or to correct you. It is from bunch of people having nothing to do except spreading hatred which will ultimately come back to them. It is a negative energy and don’t let it burn you or weight you down. Ignore it, just think it like a released arrow from a bow, and you have to dodge it. Don’t reply back and don’t even think about it. Sunsets always make me nostalgic and pensive as I look at the magnificent sky and its mesmerising colours. I haven’t written a poem for almost 5 years now, I was never a regular writer but every now and then I would pick a pen and paper and write a poem since my childhood. Later when I grew up and read them, they seemed so childish and foolish. There were some nice poems too of my teenage years and early twenties but one thing was common, they were all sad. Reading them was revisiting my past and return of pain as well. Slowly I stopped reading my poems later any poem and eventually gave up writing too. Since then five years have already passed. As the painter paints His sky. Jokes apart I do admit sometimes I get lost in my own thoughts so much to the limit that another person might feel ignored or not cared. I am still learning to balance this Selfishness of mine. Love this quote from Emerson. It is a great accomplishment indeed to be ‘Yourself’, but what is it, being myself ? , I am already adjusted twisted adapted so much, I hardly have any thought of being myself. Life is changing me everyday and I am constantly learning but what is it that resonates from inside with this quote? Perhaps I would see it as not giving in to the peer or social pressures to anything which doesn’t abide with my morals and principles. If everyone is doing it, doesn’t mean you have to do it too or it is good for you as well, if you don’t like it, you don’t like it, that’s it .You just to need to say it. It all makes things so much easy instead of giving in to pressure of people and then regretting it from inside. Hello Everyone, I am back with this #Girllove Tag Post and I have been tagged by two lovely girls Hiba (In The Bliss Of Broken Dreams) and moonymadness07 (PSYCHEDELIC MELISMAS) . 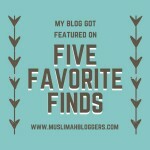 Thank you so much my dear girls for nominating me for this cause and liking my blog. This post has led to think about inspiring women in my life and also the ones I discovered on wordpress, Something I didn’t do for long . Excusez moi for the long post but I think they all deserve atleast few lines from me, Although I can write a post about each of them 😉 Let’s keep this idea for some other time . It is in response to Lilly Singh’s video on youtube ,you can watch it at end of this post . The money collected by her will go to Malala fund where they will use it for Syrian Girl’s Education so each view matters.The video is about promoting Girls love and combatting jealousy among women.The amount of energy women spent in putting other women down can be used to lift each other up. I recommend you to watch it ,it is a great video. Tell your followers who inspires you, a famous woman who may be dealing with negativity on a daily basis. Tell your followers who inspires you in real life, a woman you always interact with. for point 1 , to name one famous woman who may be dealing with negativity on daily basis, I thought about for almost 15 minutes but nobody actually came to my mind apart from few who are now dead. I am not into watching much TV and neither am I a die hard fan of some celebrity so please consider my apologies 🙂 , I do like to read from history and books, So based on what I read so far I am inspired by Khadija R.A wife of prophet Mohammed P.B.U.H . She was a strong woman, who ran her business , took care of household of her husband and raised the children of prophet . She also donated her wealth for the needy. She was the first person who believed in the prophet and stood by him in all difficult times. Other women from history I admire are Rabia Basri , Mother Teresa , Helen Keller , Indira Gandhi , Rani Laxmi Bai , Kiran Bedi . Now point 2 is getting me emotional, There is just not one woman who inspires me but I am lucky to be around many strong woman in my life. I owe to my mother for what I am today, She had put the idea of being independent in my head while I was a child , She always says “A strong woman is one who is independant, who can take her own decisions .” Another influential woman in my life is my aunt Nadira My father’s sister , She is a loving teacher , a doting mother , a caring aunt for all the nieces and nephews she has. She loves people unconditionally and doing things for them makes her happy. My best friend Sonali , who has become a sister over all these years and sometimes acts like my mother too, She is a homemaker , a loving mum ,a dear wife and an irreplaceable daughter. A strong headed woman who knows what is need of hour and switches her function instantly, having her around keeps me charged with strength. My friend Shivika, who is a rare combination of such emotional and mental strength that has left me with love and admiration for her. We only need few cups of coffee together to recharge us back for our daily struggles. My friend Marina who I met not long ago but the bonding was an instant one, She is a young , strong , independent and inspiring woman who wants to change the world with idea of sustainable living and yet she is so soft in her heart. Her warm smile made way in my heart instantly. My cousin Shazli , who vowed to stick by me in my thick and thin days during our childhood and she still means it. We had our fun and adventure sprees during summer holidays and we were a perfect crime partner for each other . Her beauty is remarkable which hardly goes unnoticed but her glowing heart is even more beautiful and is seen by only few and I am one such lucky person to know her inside out. She is criminal lawyer by profession and currently a new mum to her second child. Hiba (In The BlissOfBrokenDreams) writes lovely poetry , She is sensitive and a loving person which you can sense reading her poetry and interacting with her.She always appreciates the work of others and motivates people. moonymadness07 (PSYCHEDELIC MELISMAS) writes her mind and heart. She is one such authentic blogger I love following . She loves being who she is and I love her for being true and real. Ameena k.g (Randoms by a Random) writes beautiful poetry. She can easily express into words even very difficult emotions. I admire her for raising awareness for Mental Illness on her blog. Please keep doing it girl. Janice (Ontheland) writes poetry , I love her Haiku . She also shares beautiful quotes on her blog but what interests me most is She raises awareness about protecting our environment and earth . Her posts are full of informative content about nature. She also shares message of harmony and world peace. Papatia (Between Sisters, SVP!) is published author. She has written many novels and also write article for Haiti Magazine.She has recently launched her new book ‘ The Ductrinors’ which I am also reading currently and is great so far. She is an inspiration for young muslim female writers . revels1 is another blogger whose posts are so authentic and touching . I can relate well to her posts and she is the one whom I started following since my early days on wordpress. She writes about divinity, Islamic issues and anything on her mind .